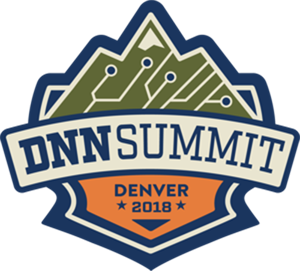 Several of our local user group folk will be at DNN Summit 2018. Here are a few that we know about, but if we missed someone, feel free to let us know so we can add you. 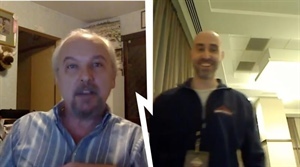 Have you been keeping up with Aderson Oliveiri's interviews with folks who will be at DNN Summit 2018? Aderson's been chatting with a lot of people to give us all a preview of what to expect when we arrive in Colorado. It's DNNsummit time! 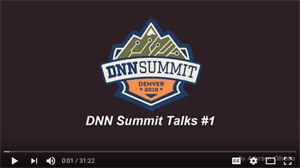 For the past couple days, many members of the DNN community have been gathered in Denver Colorado to share tips and tricks and latest news about their favorite CMS. Chicago has somebody representin'. Hey DNN Community: What are you thankful for? It's Thanksgiving time! So Don Gingold and Jim Nagy of Sprocket Websites, co-founders of our user group, reflect on what they're thankful for. Here's what to see and when and where to see it. DNNConnect, the organization created to escrow the open source DNN Platform and in general promote the DNN Platform around the world, is about to meet in Spain for a conference. But you're in Chicago, you say, and can't get to Spain to learn new things from fellow community members. Well, the gracious leaders of the group have arranged to stream the event live! Here's what you'll see and when and where to see it. Click here to find more news stories from The Chicago Area DotNetNuke Users Group. Click here to Register for My DotNetNuke User Group. Be sure to select the Chicago Area DotNetNuke Users Group.